Chicago’s shoplifting mobs may have reached a new level of brazenness on the Magnificent Mile on Sunday. Chicago police say a mob of five shoplifters hit the Topshop store at 830 North Michigan around 11 a.m., running out the door with bags of stolen merchandise. What they did next is an all-timer. After exiting Topshop, the crew reportedly went two doors down to Uniqlo and asked security to watch their bags while they shopped. About an hour later, the thieves returned to Uniqlo, claimed their stolen Topshop goods, and headed to the Red Line, according to witnesses and police. Topshop employees called police when they saw the group return, but officers were not on-scene in time to stop the get-away. Police said the crew consisted of five young black men. Three were wearing black coats with beige boots while another wore a beige coat with fur. No further description was available for the fifth suspect. • About 20 minutes before the fivesome reclaimed their stolen goods, another Mag Mile-area store was hit. 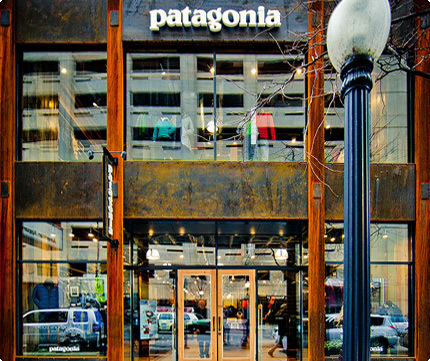 Two men got away with a dozen jackets worth $3,000 from the Patagonia store at 48 East Walton just before 12:30 p.m. The duo jumped into a four-door, light-colored Chevy Malibu.